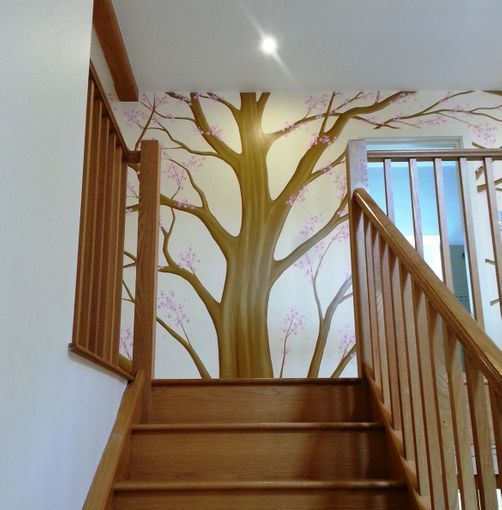 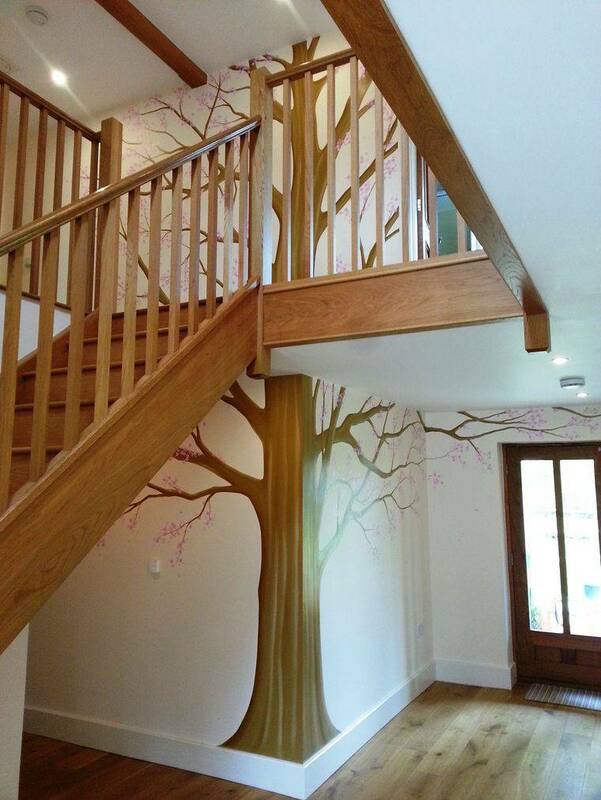 This large blossom tree, spanning two floors, was painted in a country home in Ipswich.The client wanted to have elements from the surrounding countryside brought indoors. 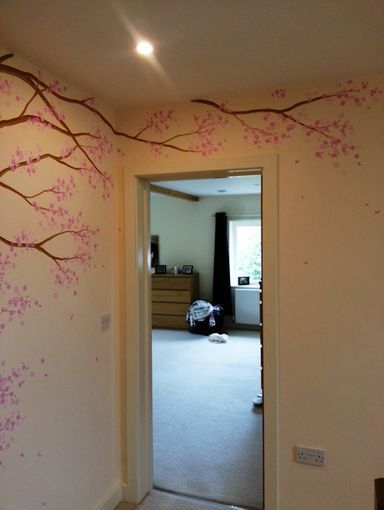 We decided to paint this huge blossom tree as a main feature to really give an impression as you walk through the front door. 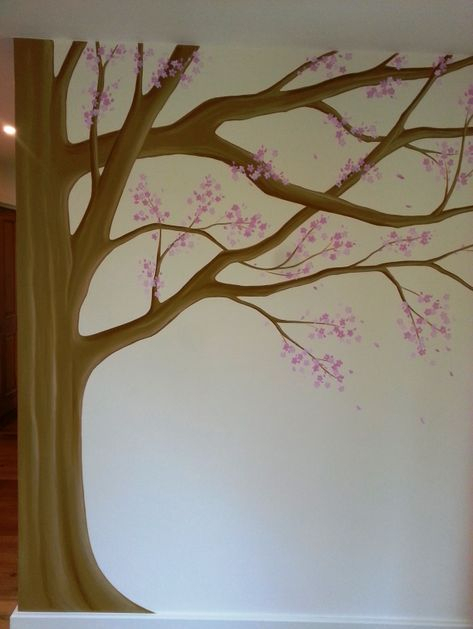 We chose pretty spring time pinks for the blossom and for the trunk we used a colour similar to the wood that was used throughout the house. 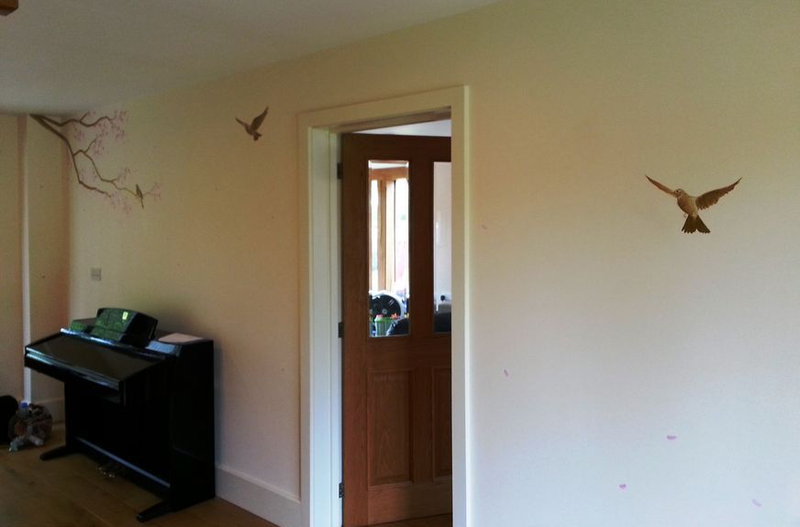 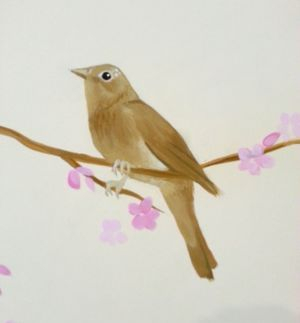 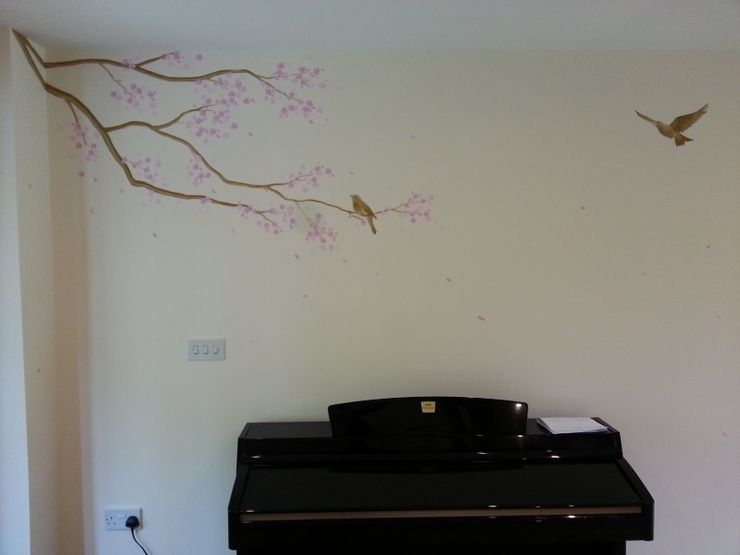 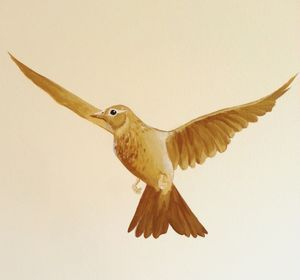 We included a few Nightinales (a bird often found in the Suffolk region) and some falling blossom onto the other walls to tie it all together. 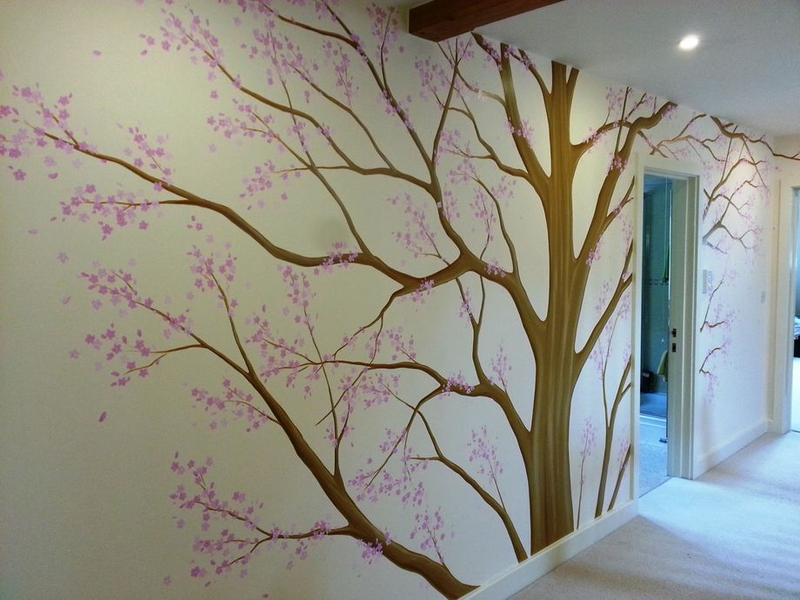 This mural was painted in four days by two artists.